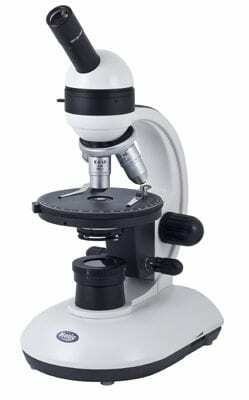 Motic Microscopes BA310POL polarising microscope. 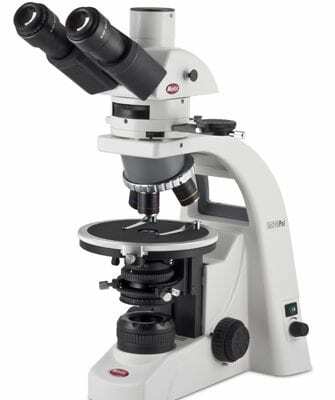 Designed for the examination of birefringent samples typically from petrography and mineralogy. 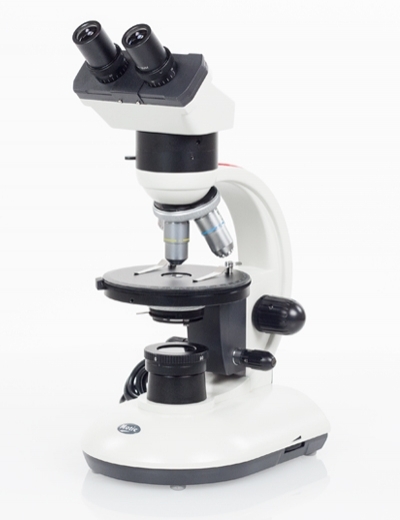 Also for inspection of synthetic materials within industry applications. The BA310POL is also designed for Higher Education applications. Typically within Earth sciences & materials labs, where affordability and ease-of-use are key requirements. 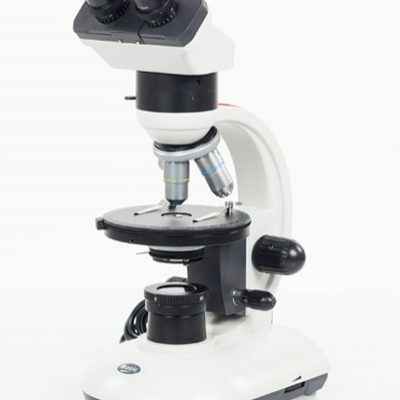 Motic PM Education range of Polarising microscopes. Features swing in/out analyser & polariser. Monocular, Binocular and Trinocular viewing head variations. Options include 1/4 λ plate, full λ plate, Bertrand lens and a coaxial focusing system.